The Brothers Eugene and Michel Werner start their experiments with a De Dion type petrol engine in 1896. 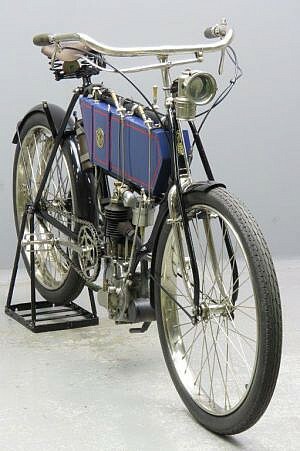 In 1897 they consider their machine to be so practical as to put it on the market. 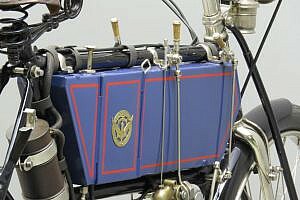 It’s presented under the name of ‘Motocyclette” and this word will soon become the generic French word for “Motor cycle”. 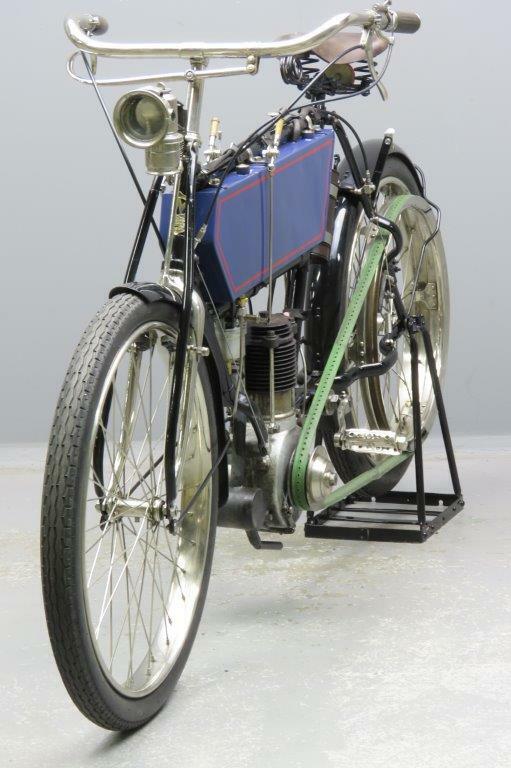 The little 216 cc engine is placed in front of the steering head and has a surface carburetor and hot tube ignition. 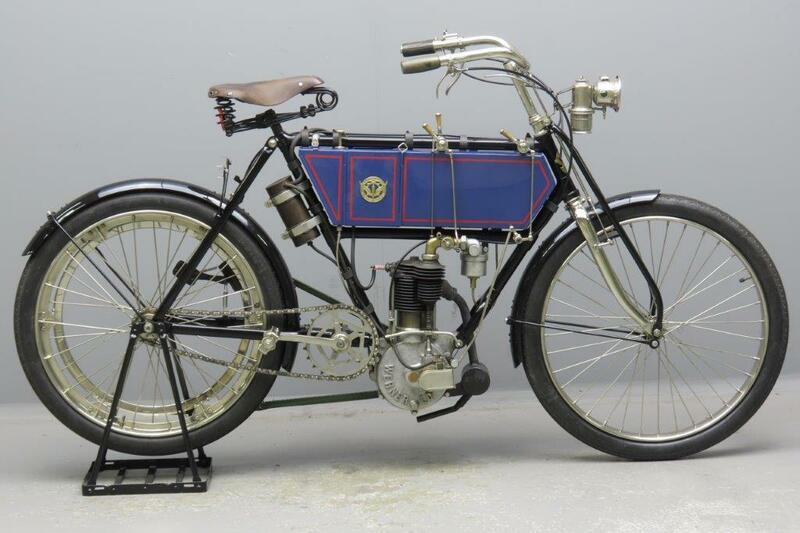 The Motocyclette catches on and the design is perfected a little bit more each year. The company claims that between 1898 and 1901 some 3,600 Werners are sold. 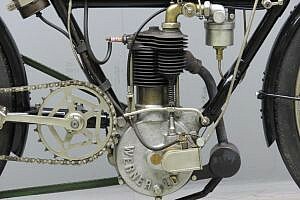 By the end of 1901 a new type of Werner is introduced with the engine in the bracket position. Werner is not the first manufacturer to place the engine in this position, but previous designs never got much publicity. The new Werner is a sensation at the Paris Show and for a long time to come the typical position of the engine that we consider so common now will be known as “the New Werner position”. The 1902 model has a 225 cc (64 x 70) engine with a power output of 1¾ HP, a spray carburetor of Werner design and manufacture and weighs 40 KG. 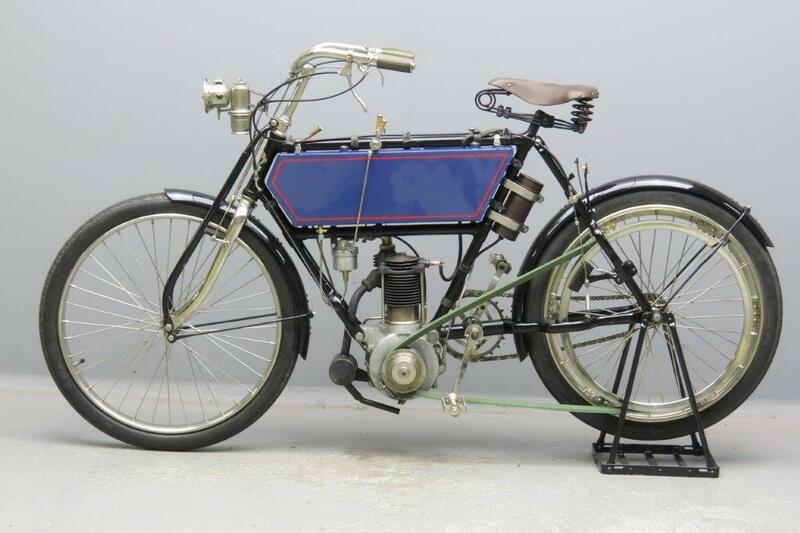 In 1903 two models become available, identical in appearance but with different engine capacities. 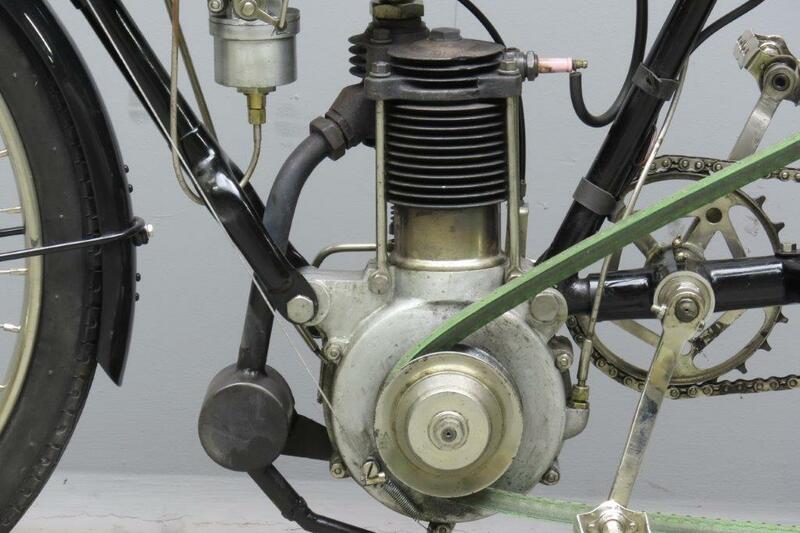 The 2 HP 261 cc “Touriste” has bore x stroke of 68 x 72 mm and the 3 HP 344 cc “Course” has bore x stroke of 76 x 76 mm. Mudguards are not part of the standard equipment, they are listed as extras for 8 Francs a pair. In August 1905 Michel Werner dies at the early age of 46 years and after that the firm starts sliding down hill. Towards the end of 1906 a bankruptcy petition is presented and in April 1907 two partners, Mess. Gallien and Sarda start a new Werner company on the original firm address. The production programme includes cars and motorcycles, but they have little success with their products. This elegant early veteran has been restored and is fitted with a very practical “free engine” system: the engine pulley is adjustable and the pulley width can be controlled by a twist grip. This grip has a ratchet system so the rider does not have to keep continuous pressure on the grip. When stopping the rider can turn the grip and widen the pulley, the belt then runs free on the centre part of the pulley that in its turn runs on a bearing. When the rider wants to get moving again he slowly tuns the pulley inward to provide grip for the belt. With a little pedal assistance this will work smoothly. This Dutch-registered practical veteran comes complete with Pioneer certificate.